With three 20-year-olds in the lineup, the Blackhawks overwhelmed the visiting Montreal Canadiens at the United Center on Wednesday night. 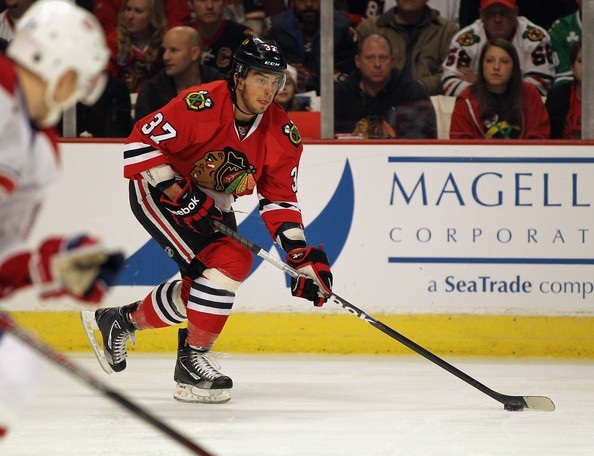 Brandon Pirri, one of the 20-year-olds who was recalled from Rockford before the game, was phenomenal. He replaced Marcus Kruger between Marian Hossa and Patrick Sharp and one of the most dangerous lines in the game may have improved. Pirri skated 16:37 and won a team-high 10 faceoffs (in a team-high 18 attempts), was credited with an assist and two takeaways. Impressively, Pirri was used on both special teams during the game. He skated 1:12 on the power play, and saw only 12 second on the penalty kill. The confidence shown by the Hawks’ coaching staff to keep Pirri between Hossa and Sharp all night, and using him on both special teams, shows that the organization has a lot of faith in the youngster. 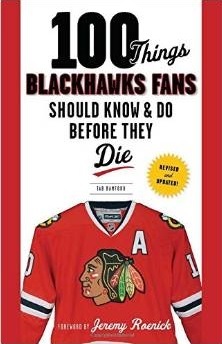 The other two skaters for the Hawks that can’t take a legal drink yet, Nick Leddy and Jeremy Morin, were also effective. Morin started on the fourth line with Jamal Mayers and Michael Frolik, and as credited with two hits and one shot on goal. Leddy continued his steady play, skating 22:24 and was plus-one on the night. Sharp scored his 18th goal of the year, the eventual game-winner, only 21 seconds after Andrew Brunette tied the game in the second period. Jonathan Toews scored his 20th goal of the season late in the third as well. For the fourth consecutive game, Viktor Stalberg was a force on the ice. He was credited with his seventh goal and 13th assist on the year in the game; it was his second multi-point game in his last four appearances. Stalberg’s 13 assists are already a career-high, and he’s only four points away from the career-best total he posted last year. Bryan Bickell also had a multi-point game, dishing a pretty assist to Stalberg and then finishing the scoring for the Hawks in the closing moments of the game. Brent Seabrook continued to show no effects from the big hit he took earlier in the week. He was credited with two assists in the game, and he and partner Duncan Keith were each plus-three in the game. Perhaps the most important performance of the night was Corey Crawford between the pipes. After allowing seven goals in only a little over 86 minutes of ice time to start December, he returned to the ice and was dominant. It was Crawford’s first action in 16 days, but he only allowed one goal on 21 shots. He was strong when he needed to be, making a few big saves in the game as well. Crow’s save late in the 2nd was one of the best I have ever seen. if we could combine Frolik’s board play w/ Morin’s willingness to go to the net, we might have something. Would love to see Pacioretti in Hawks uniform.